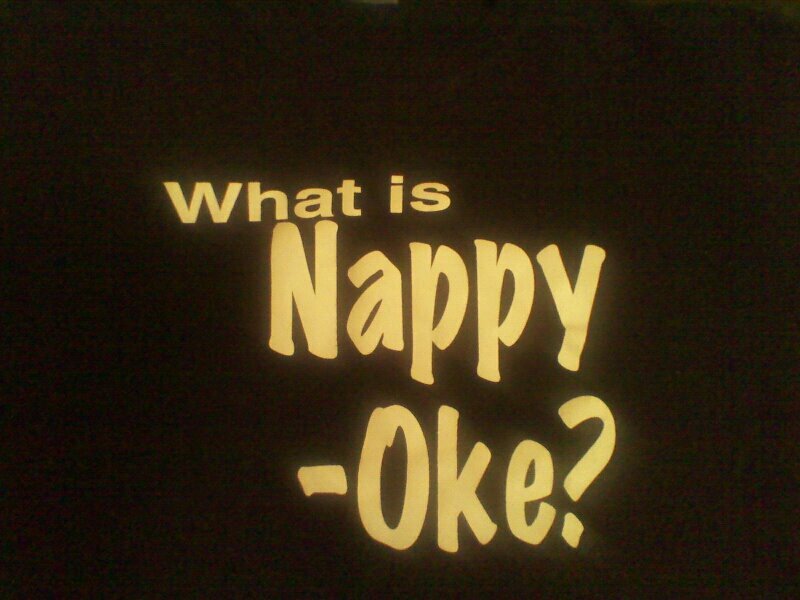 Nappy’Oke is where Natural Hair meets Karaoke. ASAZE’ Natural Hair Presents Nappy’Oke Natural Hair Event Annually during the fall on the 3rd Saturday in the month of September. Along with Karaoke, Nappy’Oke attendees enjoy food, fun activities such as Line Dancing & Hula Hoop Contest, Networking, Hair, as well as fabulous fashion show. All attendees are encourages to sing Karaoke as so their hearts desire. Although this event is over for 2011, below is our flyer. 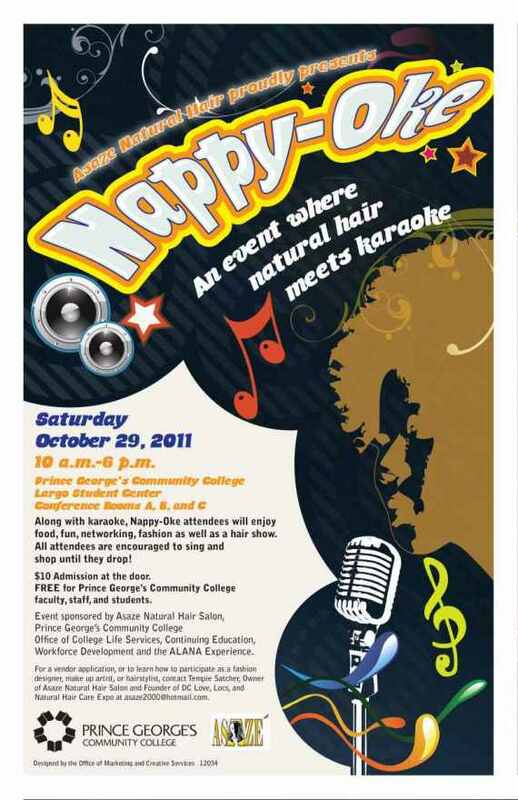 Stay Tuned for Nappy’Oke 2012, it is going to be bigger and better than any Karaoke Event you’ve ever attended. Hope to see you there! We thank you for such a positive comment, we look forward to at Nappy Oke this year!